Tech investor Yuri Milner, who shook the physics world two months ago by dishing out $27 million to the nine inaugural awardees of his Fundamental Physics Prize Foundation’s namesake award, has just sweetened the pot. Milner’s organization today announced the addition of a new award, the Physics Frontiers Prize, which will place three individuals in the running for the $3-million Fundamental Physics Prize and bestow $300,000 on those who do not win it. This latest program, plus the $100,000 New Horizons in Physics Prize for young researchers, makes three big-money awards that the Milner Foundation promises to bestow. 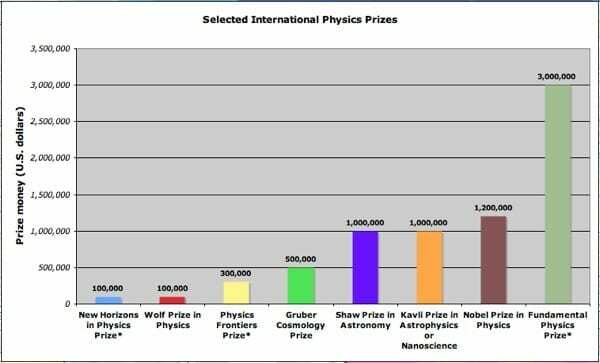 The prizes are meant to recognize major achievements in fundamental physics—primarily theoretical physics, if the first batch of Fundamental Physics Prize laureates is any indication—with a preference for recent advances.